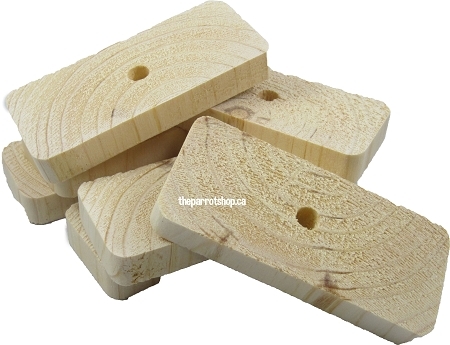 Natural thick Whitewood Slices. Great for making your own toys or using as a foot toy. Whitewood is considered either sprice, pine or fur wood - whichever is in stock at the time. Size: 3 1/2" x 1 1/2" x 1/2"